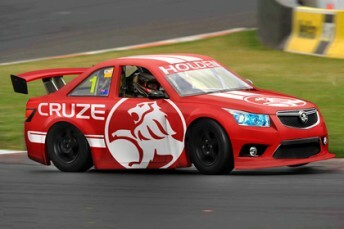 Holden will enter the FW1 Aussie Racing Cars Series with its Cruze model, starting at the Gold Coast 600. Holden Motorsport and Aussie Racing Cars are collaborating on a program that will see up to 20 scaled-down versions of the Cruze SRi competing in the series next year. The first Holden Cruze SRi Aussie Racing Car is currently under construction in Melbourne, with it set to debut at the Surfers Paradise street track. The driver of the car has yet to be determined. ARC Commercial Director and former Bathurst-winner Jason Bargwanna said the Holden Cruze’s introduction is the first of many new manufacturers joining the series. “The Holden Cruze looks awesome and we are full steam ahead with the construction of 20 new race cars. “It’s a genuine factory-backed deal and it’s a great sign for the future of Aussie Racing Cars,” Bargwanna told Speedcafe.com. 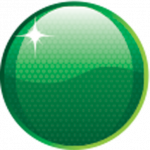 “Holden has played a significant role in the look of the car and the activation around it. It’s a joint project between us and Holden. “To have the support of a leading manufacturer, for us, is very exciting, and we look forward to the next batch of cars. GM Holden Sponsorship Manager, Simon McNamara said Cruze was a natural fit for the popular pint-sized class, which supports the V8 Supercars Championship. “Aussie Racing Cars is a cost-effective, grass roots motor racing category that provides competitive and entertaining racing,” McNamara said.